Bring balance and complex dimension to a variety of cocktails with the Woodford Reserve 2 oz. orange bitters. Bitters are a must-have at any bar and can make all the difference in reviving an average cocktail into a full-bodied, smooth-sipping drink worth appreciating. Woodford Reserve's orange bitters are carefully crafted to add a citrusy depth to your favorite cocktails, and blends natural flavors, including gentian root, orange, and other spices, that are brought out by its bourbon barrel aging process to produce authentic bitters with a balanced, yet complex flavor. Well-suited for whiskey cocktails, redefine the flavor profile of your Old Fashioned or Manhattan, or mix with other Woodford Reserve bitters to design new modern cocktail creations. 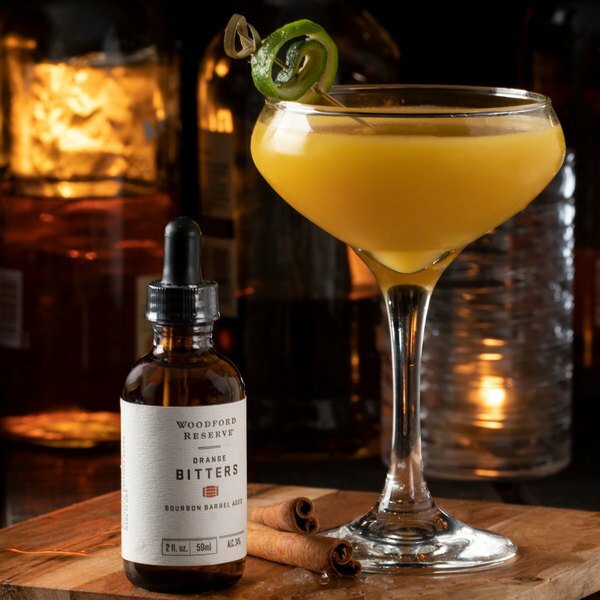 While the origin of bitters can be traced back to the 1700s in England, where they were created for medicinal uses, the use for flavoring drinks began in the 1850s in the U.S., and the name "cocktail" was born. Now a staple in many cocktails today, these hand-crafted cocktail bitters are made with all-natural flavors and are matured in Woodford Reserve bourbon barrels for approximately 3 months to achieve an authentic taste with just the right amount of smooth oak to complement your dark spirits. Packaged in a 2 oz. glass bottle with a re-sealable lid and dropper top, adding precise amounts of bitters to your drinks is an easy task. Plus, its sleek design and Woodford Reserve logo provides attractive shelf presence in your bar, lounge, or tavern, so your customers will instantly know they are being served a high quality drink. Any high quality whiskey drinks needs high quality bitters. Woodford reserve brings the the quality. The Orange bitters has exceptional taste with a low price tag. These famous brand bitters are a must have for any bourbon or whiskey bar! They work perfectly in our crafty cocktails, especially our House Manhattans, and Old Fashioned cocktails! 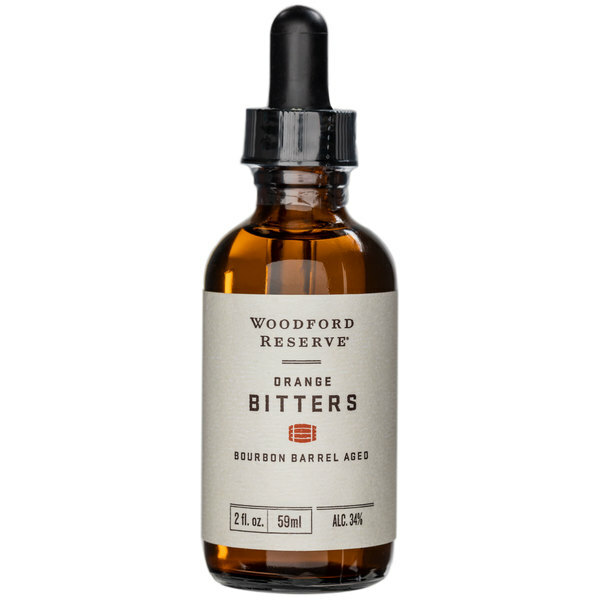 These Woodford Distillery bitters are perfect for exceptional, high quality drinks. Especially the very versatile Orange bitters.